Welcome to Omaha & Lincoln's official community of HubSpot masters, newbies, and those curious about getting started! The Omaha-Lincoln HubSpot User Group (HUG) is your place to network with and learn from other HubSpotters and inbound marketing professionals in our area. We welcome everyone from internal marketers to agency professionals, regardless of your experience with HubSpot and inbound marketing. New website coming Spring, 2019! From HubSpot employees to local HubSpot pros, we bring in knowledgeable speakers to help you level-up your skills. Our events are always free and we always provide food. What more do we need to say? Meet and share best practices with other HubSpot users and inbound marketers in the Lincoln and Omaha area. Sign up for event updates, HubSpot tips, and more! 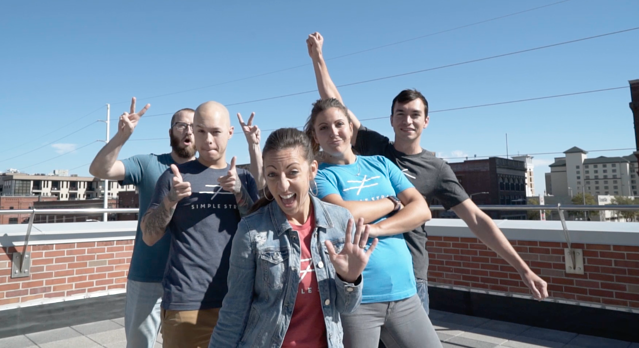 The Omaha-Lincoln HUG is lead by the team at Simple Strat, a HubSpot Partner Agency based in Lincoln. We help clients across the region grow with HubSpot and inbound marketing. This requires us to constantly study up on the latest HubSpot and inbound best practices and we love sharing what we learn with this community. To be honest, we learn quite a bit from you all as well. Feel free to contact us anytime!